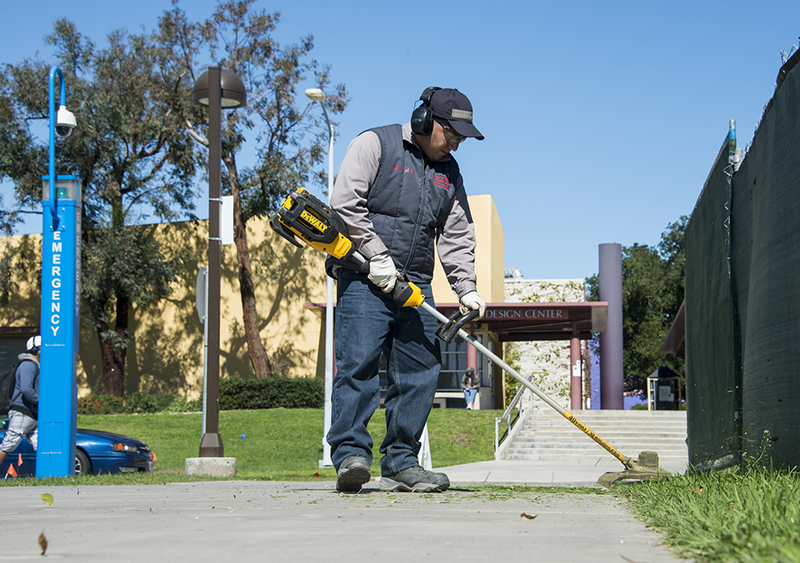 CSUN's Physial Plant Management (PPM) recently makes the change to electric equipment. Photo by Luis Garcia. 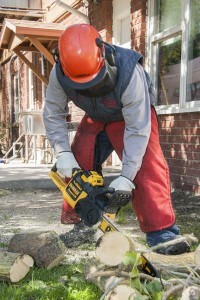 CSUN's Physical Plant Management (PPM) recently makes the change to electric equipment. Photo by David J. Hawkins. CSUN students may have noticed certain campuswide renovations this spring — an effort to make continuous strides in sustainability. One of the changes students are less likely to notice? 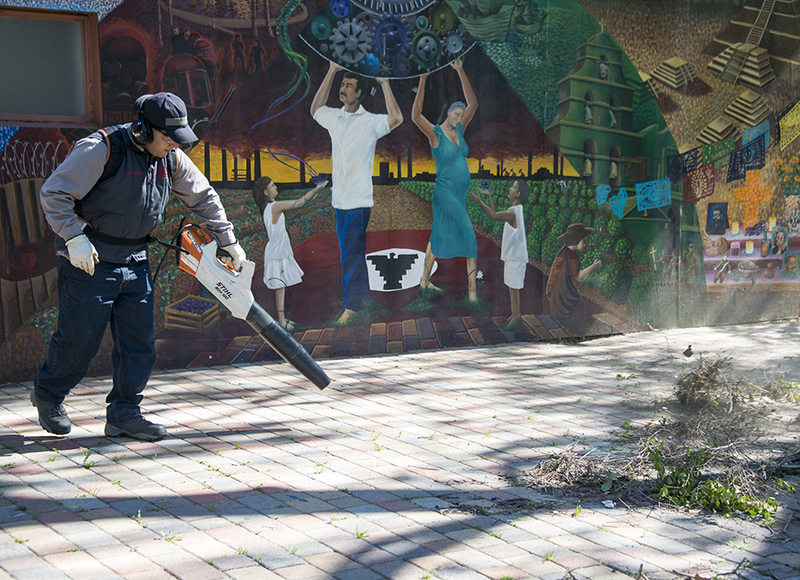 The CSUN Grounds Shop has switched to all-electric equipment such as blowers and hedge trimmers, in an effort to reduce carbon emissions on campus. Austin Eriksson, CSUN’s sustainability program manager, said the issue was initially raised when President Dianne F. Harrison signed the Second Nature Climate Commitment about one year ago, a pledge to make the campus climate neutral by the year 2040. Grounds Shop staff knew carbon emissions were a problem — and that they could do something about it, said Jim Logsdon, assistant director of grounds and events, who has worked at CSUN for 26 years. “The idea was to start looking at battery-powered equipment,” Logsdon said. The process at CSUN included meetings with different vendors and testing various brands in order to begin the transition to more energy-efficient equipment. Making the transition to electric, energy-efficient equipment will reduce fuel consumption and gas emissions, increase air quality, benefit employees’ health, and eliminate noise on campus, Eriksson said.